While setting up for a landscape shot of the islands at Long Pond in the early light, I noticed a family of loons moving across the water. I adjusted my settings for a faster capture, and was treated to this phenomenal display! 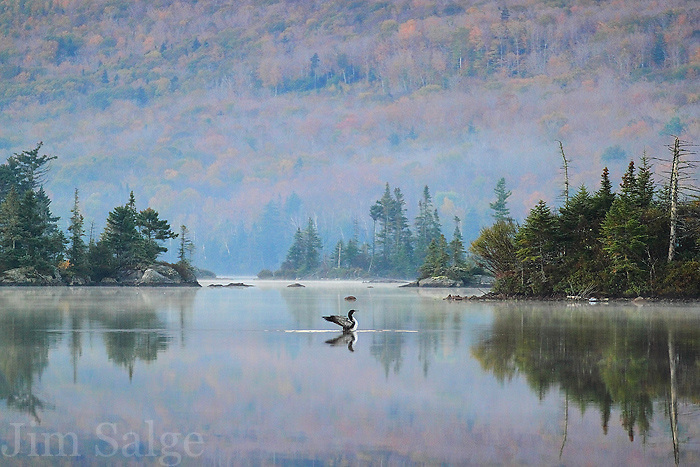 The muted tones and morning mists create a great color palate in the backdrop!